We all make decisions constantly--some with careful reflection, some without much thought. But what if we understood these decisions, minor as well as major, as matters of faithful Christian living? 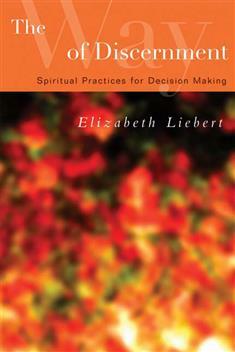 In this helpful and encouraging book, Elizabeth Liebert introduces the practice of discernment and guides readers through the process of faithful decision making. Following the way of discernment means becoming increasingly able to notice where God is at work in the world and in one's own life--and becoming increasingly generous with one's own life in response. After briefly exploring the Christian tradition of discernment, Liebert then turns to practical steps and exercises that will help readers as they seek God's call in the midst of their decisions, allowing readers to internalize some of these practices and incorporate them into their daily lives.